Description: Bespoke bicycles are a dream for cycling enthusiasts such as Huntsman's Creative Director Campbell Carey and Client Manager David Goggins, who often don elegant lycra to cycle to work or across the Scottish moors. Campbell personally selected this design for the DSS3 Gravel Tube Bicycle, created with bespoke cycle makers Donhou. Huntsman claret and tweed customised paint work, a Brooks saddle, and a personalised laser cut badge all complement the precision specification, gears and components of this ultimate gentleman's touring machine. 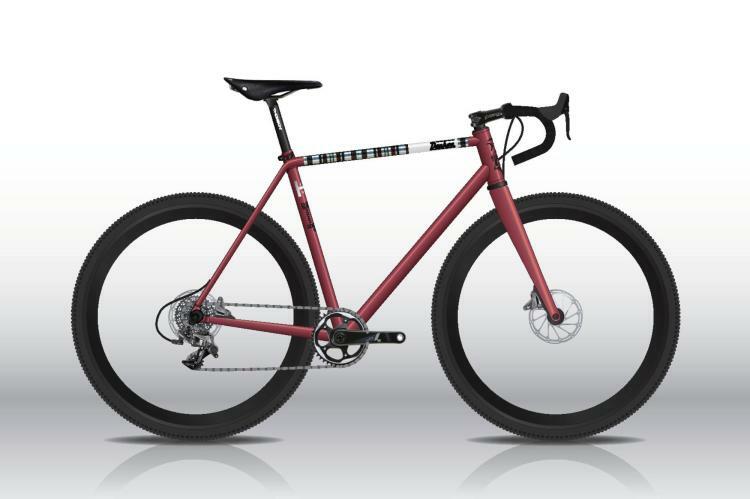 The DSS3 Gravel Tune Bicycle takes its hardiness from a CX racer but is delivered with its geometry finely tuned for fast gravel riding and bike packing. A longer wheel base, tweaked front end geometry and lower bottom bracket allow you to have all the features of the DSS3 in a package designed for long days in the saddle. The winner of this lot will have the chance to work directly with both Donhou and Campbell in order to create a bicycle with a bespoke fit. Production of the bicycle will take around four months from design to creation.